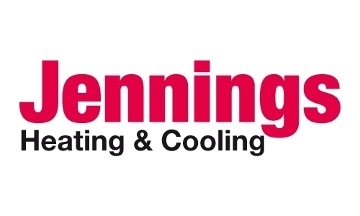 Jennings Heating Company has been in business since 1931 when it was established by the Jennings brothers as a coal company and has grown into a full-service air conditioning and heating contracting company with the ability to service and install complete heating and air conditioning systems. In addition to scheduled service checks, repairing of existing equipment, and installation of new equipment, we can help you find ways to reduce your energy bills through a thorough cost-benefits analysis. We have an extensive history of repair service on all brands of central air conditioning and heating systems. Our certified technicians use state-of-the-art technology to diagnose and repair existing systems and always use the finest new equipment for installations in the industry. Furthermore, we have a patented Straight Forward Pricing Guide? so you know what the price is before we do the work and you are never charged by the hour. How many companies are willing to show you their price books? 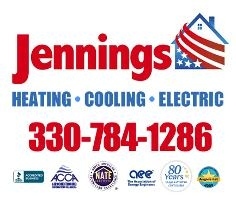 You can count on Jennings Heating Company to do the job right. We service all brands of air conditioning and heating equipment. Hours: 24 Hour Emergency Service, 7 Days A Week at NO EXTRA CHARGE.